The dimensions of the Kitchen Cultivator are 24″ wide x 34.5″ high x 24″ deep. One model comes on wheels. The top is a maple cutting board. If you have a EuroCave wine cooler or are considering a similar high end wine storage option, you should definitely consider a companion purchase--the Kitchen Cultivator from Urban Cultivators. These EuroCave-like "cultivators" are ready-to-grow indoor gardens that come with seeds and plant nutrient. Plus, they have computerized water, lighting, temperature and humidity control. So, even urban dwellers who don't know jack from the bean stalk can become neighbor Farmer John and grow organic greens and herbs with ease. Urban Cultivators offers a whole new way to enjoy locavore produce as the food source is even closer than the nearest Farmer's Market or typical kitchen garden which at best is a few feet through the kitchen door to a yard, patio or balcony. Michael Levenston on the excellent City Farmer web site said about the Kitchen Cultivator: "It truly is the zero mile diet." 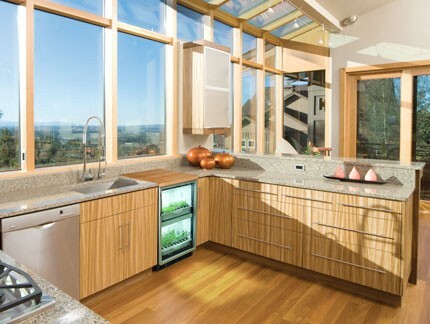 One can also incorporate a Kitchen Cultivator into your Kitchen Cabinet Design. Granted, with a price point of about $2,200, these polished food connoisseur cultivators are not exactly super affordable for the average Joe Eco Prepper. But, if you have the extra green bucks and want to add another layer to your food security plan, why not grow organic produce right in your own kitchen? 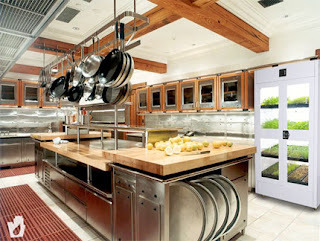 The commercial sized Urban Cultivator Commercial unit is popular with chefs. More and more restaurants and commercial food establishments are using them. For the well heeled and those with large households, the commercial units are also well worth the investment. Consider how much money you'll save on pricey organic produce, especially off season. There is a commercial version of this indoor hydroponic growing system called the Urban Cultivator Commercial. It sells for about $6,000. If I had to make a choice, I would trade granite countertops and/or a fancy stainless steel sub zero refrigerator for one of these in a New York minute. Those sleek surfaces and high end devices may look great, but, last I checked, you can't eat granite or stainless steel! Naturally, anyone that can afford one of these cool, haute hydroponic systems from Urban Cultivator should also join a CSA or have a serious organic garden and/or larger greenhouse as well. 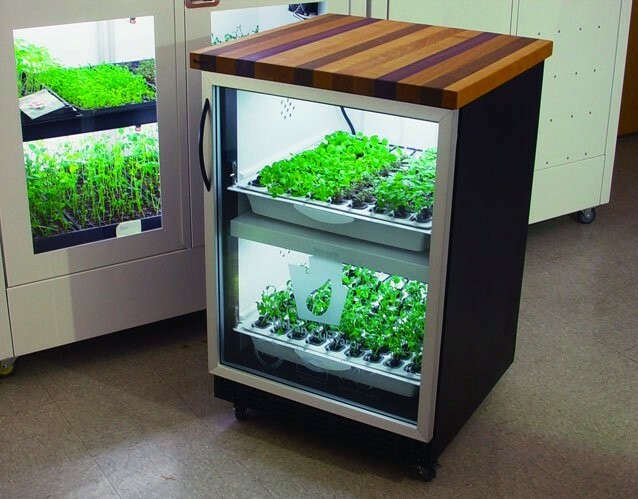 But, owning one of these groovy growing machines adds another sweet, healthy layer to your food resiliency plan by having an appliance that is the perfect combination of style and substance.